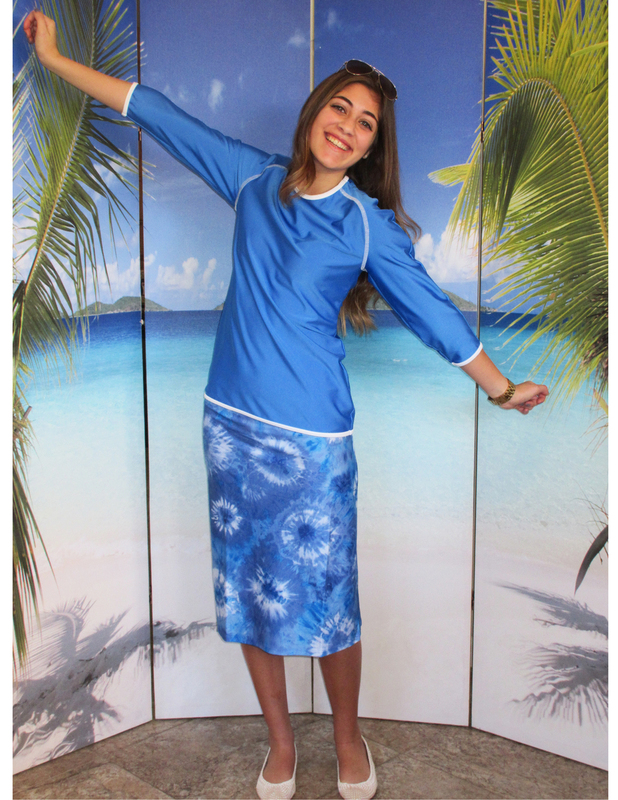 Style 2629 swim tops designed to coordinate with style 2622 skirts in black floral print, jade paisley, sparkle blue, Batique blue and solid black . 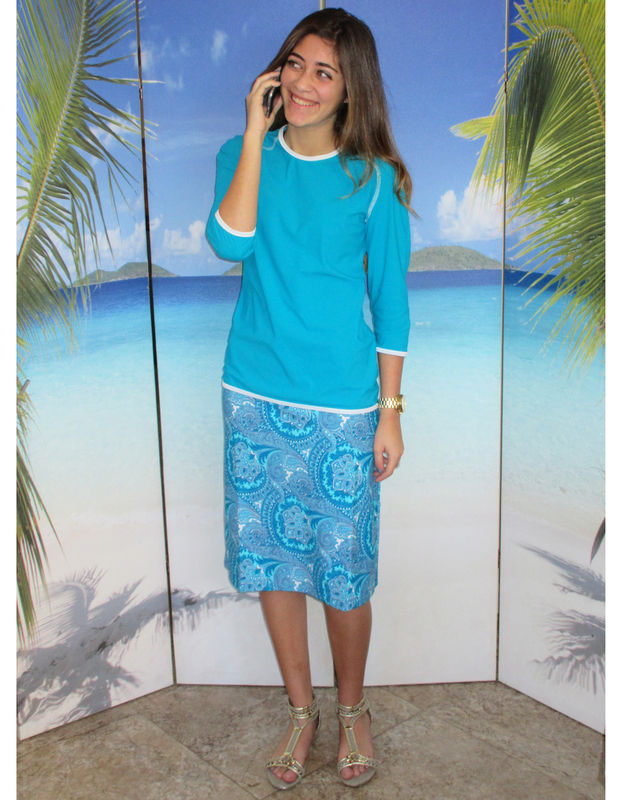 This top has a rounded crew neck design with three quarter sleeves. The neckline, hem and sleeves are finished with a thin white binding. The top embodies white top stitching for a "sporty chic" look. 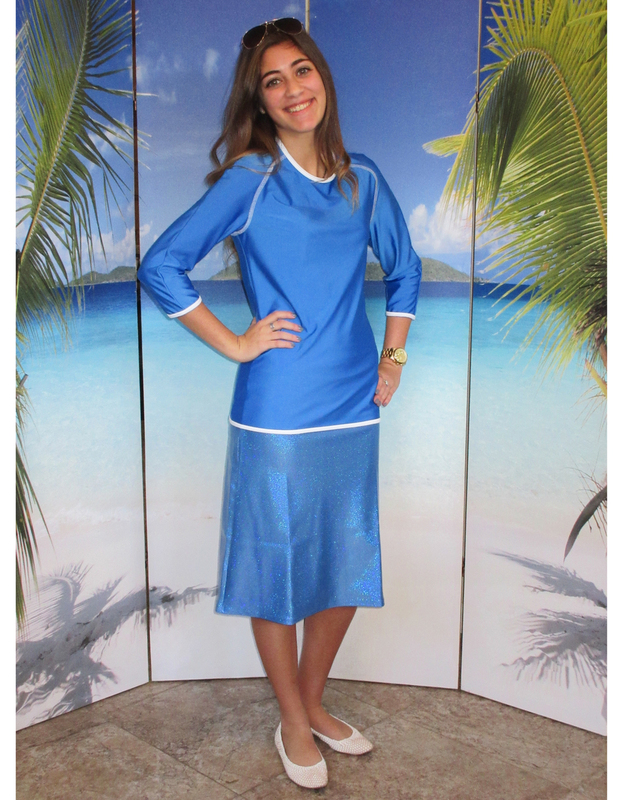 It is the perfect modest rash guard top you have been searching for.